Thank you for using iFiskes services! Here you can buy fishing permits and related products and also create fishing reports in a secure and convenient way. We are committed to treat your personal information in a safe and secure way and at the same time offering you high availability of our services. iFiske (www.iFiske.se and applications) run by Jighead AB (In this text also known as "iFiske"), a Swedish company with the corporate identity number 556957-9757. This document describes our user terms for using iFiske. These terms and conditions (the Terms) apply to the website www.iFiske.se and applications that are published by iFiske.se / Jighed AB. To make a purchase at iFiske you must be at least 18 years old. We reserve the right to cancel orders from people who stated false personal information and/or have poor credit and make a reservations for any price errors that may appear on the service. To achieve high safety and optimum availability iFiske cooperates with the trusted partners, e.g. Wywallet / Cellsynt, Paypal, Klarna and Payson, which in turn cooperates with the Telephone Operators, Visa, MasterCard and online banking. Products and services provided through the iFiske website and app are not available to all people in all locations. iFiske will not provide products and services to people of who iFiske believes - without having to show any reason for this - may be contrary to law or similar regulation. To provide the highest possible availability of service, we operate and have a collaboration with Glesys which is a supplier of complete and cost-effective server hosting solutions and broadband solutions with high quality. The operating organization has years of experience in mission-critical operation of servers and Internet access solutions. Data is managed in a center to ensure redundant electrical connections, redundant diesel generators, redundant Internet connections and redundant cooling systems. Orders are binding to the person. We do not accept orders in any other way than through our shopping system on our website and payment-through-SMS. Once we receive your order via the Internet, you will receive a confirmation e-mail with information about your order. Check your order confirmation that everything shows correct, and if you have any questions, please contact us immediately. Please save the order confirmation, as this contains information about your order and constitute your receipt. At the portal of iFiske, there are three main categories of products: (1) Digital fishing permit, (2) Downloads and (3) other products. The term "fishing permit" in this text includes conditions for the purchase of other types of fixed-term subscriptions, for example, boat rent, ramp fees, point fees, etc. • 1b. Warranties - No guarantees can be made regarding the fishing permit, even in terms of access to eg Loan boats, fishing grounds availability, availability of fish in the so-called put-and-take of water, etc. If appropriate, please contact primarily concerned fisheries management organization for a dialogue on appropriate remuneration. • 1c. Unused Products - No charges will be refunded if you do not use your product. • 1d. Changes - If you make a mistake during the purchase, please contact our customer service and we'll be more than happy to remedy the problem by correcting the purchase. 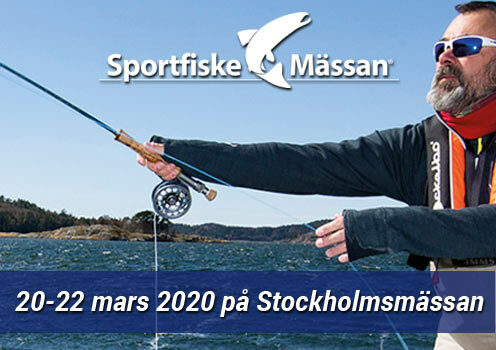 You are allowed to change the start date/time on all iFiskes fishing permits if iFiskes customer service is notified no later than twenty-four hours before the original start time, and if the date is not transferred to the next calendar year, as long as the fishing permit valid within the same fishery conservation area and relate to the same extent. • 2a. Confirmation. Once your purchase is approved and implemented, you will be directed from the checkout to a page that confirms your order. On this page, you will find a button/link where you can download your order. Once we receive your order we will send you a confirmation by e-mail with information about your order. We recommend you to save this email to have on hand at any contact with customer service. You can download the product via a button/link on your order confirmation. • 2b. Delivery. Your download will be sent in a separate email, in which there is a link to download. The download is also attached as an appendix. • 2c. Return policy. Because of the nature of the product, the right of withdrawal does not apply to the digital content supplied otherwise than on a physical medium. • 3d. Duration and number of downloads. You can download each purchased product any number of times during 1 year. Want to download your products again, you can do so by order confirmation sent via e-mail. • 3e. The copying, copyright and watermarking. PDF files can in some cases be watermarked. Digital watermarking is a way to protect the copyright of the PDF. When downloading a PDF, the file is stamped with a digital watermark which consists of including the customer's name and order number. Any copying, in addition to the customer's personal use, and unauthorized further distribution is prohibited. The customer is solely responsible for the files not being spread to other users. If the files end up astray, for example, on a file sharing site, we can obtain the customer's order number. You can move your files between your own devices but any copying, above and beyond for your private use, and unauthorized further distribution is prohibited. You are solely responsible for not sharing the files to other users. iFiske collaborates with several suppliers ( "Companies") and has an agreement where they send the product directly from their warehouse to you. In some cases, iFiske also delivers directly from its own stock. iFiskes package list will be enclosed in the package. • 3a. Delivery. We only deliver within Sweden. iFiske always strive for rapid delivery, usually 1-3 days. If an item is temporarily out of stock, we will notify you by e-mail when we calculate and send it to you. You always have the right to cancel the purchase if you do not accept any extended delivery. If the item is lost during transportation to the customer, then iFiske.se is responsible for occured costs, the same applies if goods are damaged but you must notify us promptly, within 10 days. • 3b. Product Information. We reserve ourselfs to any faults in the product information available in the online store and can neither guarantee that the pictures accurately reflect the true appearance. We reserve the right to end the sale and warehousing of our suppliers, and also for any price errors that may occur. Sometimes it happens that some of the goods you ordered is not in stock and will be backordered. This is due to that item is not in stock or the delivery is delayed. We send the item free of charge to you when it comes to us. We will send you an email or make a call within 1-3 days. Contact us if you wish to cancel your residual listing or if you have questions about delivery times etc. • 3c. Open purchase and withdrawal. Open purchase comes on unopened. The customer has a right of withdrawal for 14 days under the Distance and Doorstep Sales Act. That means you can switch to another color / size or simply return because you are not satisfied with what you ordered. The only condition is that the goods are unused and that the original labels are attached to the item. Return costs when replacing or open, as a customer. The customer is also responsible for returning the product in original condition to us, so it is important that you package the product so that it is protected well. Of course, you get your money back for the goods, once we received the return and found that the product is in original condition. The money is deposited in your account. You could also have the invoice with the updated amount. Note that it may take up to two weeks before the money is returned to your account due to handling and mailing. The shipping fee (invoice) will still be charged to customer. If you change to a different color or size, the new shipping fee is on your account for the replacement delivery. If goods are damaged or lost when you return it to us, you are responsible for payment. Therefore, it is important that you package the product so that it is protected well. Any transport damage due to faulty packaging are customers. If you want to return the unused product, we ask that you always contact us before you send it to us. • 3d. Cancellation. If you cancel a purchase after you have placed your order, please contact us immediately so we can cancel the order and stop the delivery. When the product has already been shipped, the same rules should be applied as for "open purchase". • 3rd. Complaint. If you receive a defective or incorrect product, you should promptly contact us within two months. We ask you to always contact us before sending anything to us. Your opinions are highly valued, therefore we ask you to be clear and precise when describing the lack of conformity. Write also if you want a new product or your money back. When we have receieved the complaint and approved it, the money will be transfered into your account. Of course we are responsible for shipping at the wrong deliveries and approved claims. For all complaints, an investigation out of the product, in some cases we need to contact the supplier, which means that it may take a little longer. Replacements will be completely free of charge for you. Goods that are returned via post on delivery are not accepted. In any dispute, we follow the consumer complaints board for decision. All materials posted on the site by iFiske, are protected by intellectual property laws (copyright). This means, for instance, rendition and reproduction of materials or parts thereof - in addition to download for your private use in non - commercial purposes - requires the written consent of iFiske. The trademarks, or other characteristics that are under iFiskes ownership may not be used without the express written consent of iFiske. iFiskes trademarks, trademarks or company may not be used in such a way that in a search engine generated an "incorrect" date, eg in so-called meta tags or other hidden text. iFiske not responsible under any circumstances for links from any of iFiskes websites to external websites or external website content or functionality. You bear the risk of using such sites. You are allowed to move links, and link people to iFiskes sites. It requires the written permission of iFiske in order to make integrated links, and display or to get material from iFiskes websites. All materials available through iFiskes apps and sites are - unless otherwise expressly stated - intended as general information only and does not constitute advice or recommendations. There may be a risk that the information is not exhaustive or updated. There may also be a risk that the information contains typos and technical shortcomings. It's up to you to evaluate the suitability of using the information given on the website. Although iFiske always endeavors to keep the website and apps free of viruses we can not guarantee that they are virus free. You are therefore invited, for your own sake, to take adequate safety measures and use a virus scanner before downloading any information, software or documentation. iFiske is not responsible under any circumstances for damages directly or indirectly caused by the use of the Site and / or the apps we have published. When buying a fishing permit it is specific to fishing in private waters that the fishing area belongs to the property owner by law (1993: 787) and the Fishing provides a right for a limited period of fishing. It is the buyer of the fish board's responsibility to inform himself about the applicable rules for the current fishing permits and area. A fishery conservation area association may charge an inspection fee of fishermen are allowed to fish in the area but that violates the association's own fishing rules under the Act (1981: 533) concerning fishing areas under the Ordinance (2010: 1874). In a dispute, we follow "ARN", the Swedish Consumer Complaints Board recommendations. iFiske will not include contracts with minors (under 18) without parental consent. iFiske respects and protects your privacy! All customers who purchase a fishing permit from us or use any of our other services should feel safe when they entrust iFiske their personal data. iFiske follow laws to protect the privacy, confidentiality rules and internal rules for the practical management. The data is also used for mails and other means in order to provide better and more personalized offers, news updates, and good service. The customer has the right to request personal details from iFiske. Such request should be sent by e-mail to iFiske. ● Public records for updating the other data collected. In cases where required or otherwise appropriate iFiske obtains consent from the customer before the processing of personal data about the customer begins. The customer may agree by accepting our Terms for the purchase of fishing permits. Before consent is given, the customer is informed about current conditions. The customer has the right to revoke a given consent. iFiske will then not process personal data further or update previously provided personal information about the customer, if consent is a prerequisite for the processing of personal data. Of submitter selected "public" information from the fishing reports can be published on iFiske.se and selected partners. Non-public information shared with representatives of the relevant regional fisheries management organization, as well as the iFiske. Aggregated, anonymous data can be brought to be shared with the iFiske selected and approved Swedish authorities and other partners, eg County boards and sea. Regarding the photos submitted with the fishing report concerns that it is only allowed to upload photos to the catch / fish that are linked to the current report. You may not upload photos without rights or that violate the law or may be perceived as offensive. iFiske has the right to reject images that are not related to fishing or considered as offensive. Uploading other types of images on iFiske is not allowed We can not manually check or have the opportunity to monitor the content on the Website. It is possible that images or other materials may be present on iFiske that is unlawful or objectionable and contrary to the restrictions on the content of the above. We take no responsibility for such images or materials. Please contact us immediately if you detect such images or materials. Your photo may be published on other websites and in magazines in connection with iFiske.se; You still owns the rights to your photo. 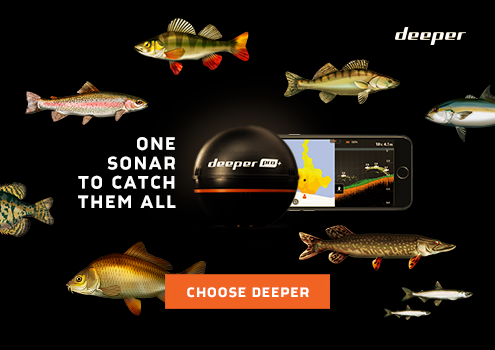 Example: iFiske.se advertise in a fishing magazine and a fish picture is published in the report. In conjunction with the provided personal information from customer, such as the registration of the user on the site or in the purchase of fishing permits by iFiske customer receives information for treatment, such as information about who within iFiske that is responsible for processing and the purposes for which personal data are processed. Within iFiske, there is a goal that as few as possible should have access to customers' personal data. Data registered with iFiske covered by our sektress and thus not disclosed to anyone outside iFiske, in addition to the relevant fisheries management organization, other than for the treatment of external payment solution and the issue of fishing permits. Data registered within iFiske can be limited to be used by other jighead AB's services. Information is used only for specified purposes, for example to promote iFiskes goods and services. People from outside or fisheries management organizations which are not affected by fishing permits or catch reporting has no access to personal information about customers. Personal data kept only as long as there is a need to preserve them in order to fulfill the purpose for which it was collected. Thus culled data in a customer when the customer relationship has ended. The data may need to be saved for other purposes, such as statistical and accounting purposes. The personal data entrusted at iFiske are dealt within a satisfactory manner. Only a limited number of persons with specific authorization have access to information. There is also a protection of destruction of data. Personal information will not be transferred to anyone outside iFiske, in cases other than those described above under the heading "Access to personal data".